This has become a favorite winter workout for some. Think of skate skiing like the winter version of road biking but better because it works more muscles at the same time. For most people that are debating between skate skiing or classic cross country skiing, ask yourself how much of a workout are you looking to get. It’s easy to pick up once you find the rhythm between your skis and poles. We’ve started to see more people take advantage of this amazing sport. The only disadvantage of skate skiing is you have to have groomed trails. Here are a few tips if this sounds like the sport for you. 1. Watch “how to” videos before you hook into skate skis. Learn what V1 and V2 are so the images will be in your head when you try for the first time. 2. Dress lighter than you expect. This mistake is common among new skate skiers. Skate skiing is a workout. Wearing a base layer is key. Under Armour 2.0 is a great choice for active days. Make sure you layer depending on how cold the weather is and how far you plan on going. The best layering method is to stay between 1-3 layers. 3. Waxing is key. This is one area that most new skiers are afraid to tap into. Our service shop experts are a great option for those individuals! Getting the right temperature and sufficient wax is very important. This can mean the difference between a 5 mile loop and a 15 miles loop just because the glide of the ski is performing well due to the wax treatment. 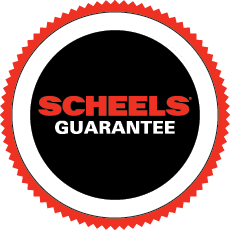 We always recommend sitting in on a waxing clinic at your local trail head or SCHEELS store so you can see how easy it is, even for a new skier.